Sapna lawn 2013 volume 2 by Sitara Textiles was released recently. It contains simple printed lawn clothes like those in Sitara Sapna lawn 2013. This collection has several new designs to satiate the thirst for nice summer dresses among women. Floral designs as well as traditional designs can be seen in Sapna lawn 2013 volume 2 by Sitara Textiles. There are various colors available for each of these designs. 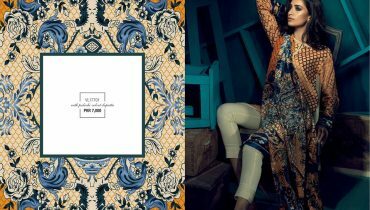 Overall, the prints in Sapna lawn 2013 volume 2 by Sitara Textiles are great for creating casual wear clothes that can enable women to beat the summer heat. Sitara Textiles is one of the respected names in the textile industry. It has been involved in the production of textiles since the last so many decades. It produces textiles for men as well as women. The textiles are produced for home accessories like bed sheets as well. The clothes of Sitara Textiles are of great quality and their prices are reasonable. For women, the company offers designer wear fabrics and printed fabrics. It has different product lines including Sapna lawn, Universal lawn, Heartbeat collection, Mughal-e-Azam and so on. Although Sitara Textiles is based in Faisalabad, it offers clothes through different fabric shops in the country. You can see pictures of Sapna lawn 2013 volume 2 by Sitara Textiles here. The catalog photos for Sapna lawn 2013 volume 2 by Sitara Textiles are given below. You can learn more about Sitara Textiles through its website. The website address plus other contact details of the brand is there on the Facebook page page of Sitara Textiles. The address of that fan page is provided for you here. 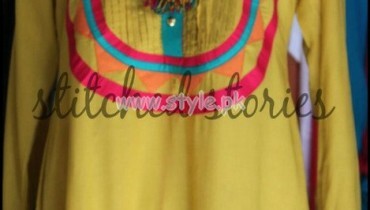 You may also view some more dresses of Sitara Textiles on Style.pk as its various collections have been shown here.